Automatic desktop organizer with Smart folders. Is there a better alternative to Declutter? 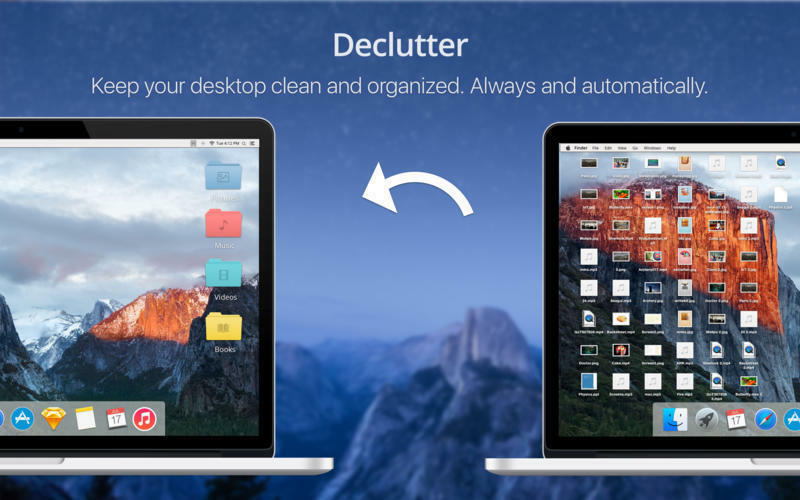 Is Declutter really the best app in Desktop category? Will Declutter work good on macOS 10.13.4? 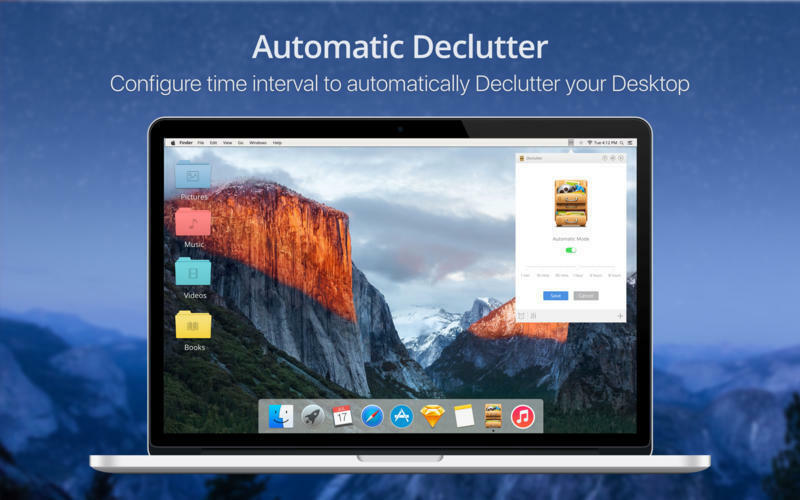 Declutter is an elegant solution to Desktop clutter that every Mac user faces. It automatically keeps your desktop organised and clean by moving the files on the Desktop to smart folders using rules based on file names and extensions. Beautiful Desktop - We all love when we buy our new Mac. It is the face of the device. Declutter helps you to keep it that way and even makes it more beautiful. Smart Folders - Declutter helps you to create beautiful and intelligent folders in your desktop. Each folder is configured with rules so that the desktop is cleaned based on them. FileName or Extension - The rules for intelligent folders in desktop can be created based on both file names or file extensions so that the clean up can be comprehensive and at the same time granular. Complex Rules - The rules can be configured with multiple file name or file extension conditions. This enables the app to declutter the desktop with accuracy like human intelligence. Folder Colors and Icons - Declutter enables you to add beautiful colours and icons to the intelligent folders that you create to make the already clean desktop more beautiful. Automatic Declutter - Declutter enables you to configure automatic clean up for the timing configured to ensure that the desktop is always clean. Instant Reach - Declutter is available in menubar always if you enable it to launch on start and can be activated in a single click or configured hot key stroke. Launch on Start - You can configure Declutter to launch on start so that the app is launched silently and keeps the desktop clean automatically.